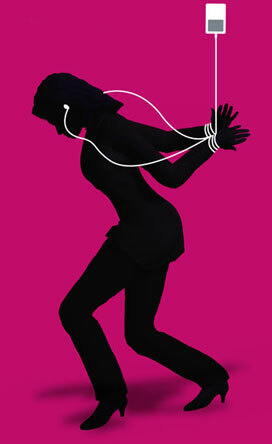 Okay, so now we see why iTunes sales numbers allegedly plummeted 65% since January of this year: Forrester Research wasn't counting Christmas Day, when everyone who just got an iTunes gift card or shiny new iPod decided to download their favorite songs and videos at precisely the same time. Online market researcher Hitwise said more than four times as many people (413%) visited the iTunes store this Christmas than the same day last year. All that traffic brought the site to its knees early this week, tossing out error messages to some while others were able to download music without incident. Apple might want to consider other methods of moving digital content to customers if it's ever going to consider HD movie downloads. BitTorrent anyone?